Welcome to Premier Realty Online! 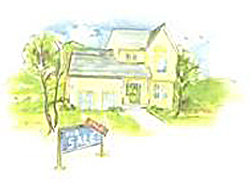 Whether you are in the market to buy or sell property, or relocation you have come to the right place! We invite you to use this site to search for your next Single Family Home, Condominium, Townhouse, Land, or Commercial real estate purchase. PREMIER REALTY, your connection for listings, sales, relocation in the Bluefield's, Princeton, Athens, Tazewell, Bland and surrounding areas... We bring the "experience" of realtors that have worked for years in our lovely Virginias. We pride ourselves in our real estate knowledge and professionalism. Whether you are a first time home buyer, investor, or experienced in purchasing property, we will be your guide in finding that perfect home. If you are selling your home you may have found that it is more complex , and time consuming than ever before, and in order to be successful, you need marketing, financial and legal experience. Why not let our agents work for you and save you time, frustration and money? To locate the property of your dreams, click the Property Search button. Also, I invite you to create your own FREE account, so that you may save listings that you might be interested in. The Mercer-Tazewell County Board of REALTORS makes its database available merely as a convenience for the for public. Reasonable efforts are made to insure that the database is accurate and up to date. However, this information is provided with no other warranty or representation, express or implied.